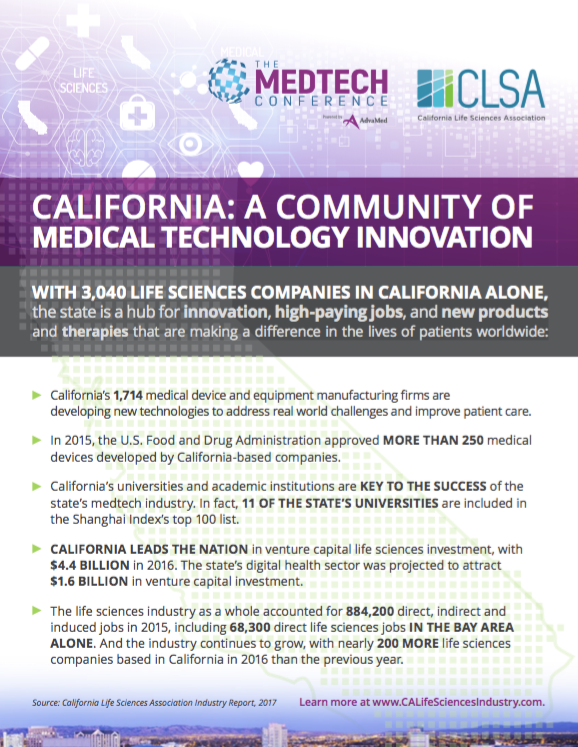 Want to know more about the state of medical technology and life sciences in California? We've collaborated with the California Life Sciences Association to develop this overview which also highlights some California-centric conference programming like California Alley in the Exhibit Hall, MedTech Innovator Showcase, and CA-based speakers and companies participating in the program. Download it now to dive in...and hope to see you in San Jose!